Solar energy is the primary source of energy on Earth. Using it to support modern society presents an opportunity of great value. In fact, it can be used as an alternative source of energy to fossil fuels if properly exploited, thanks to dedicated technologies. Its intermittent production, due to the day-night cycles, necessarily requires the use of batteries for storage and supply. 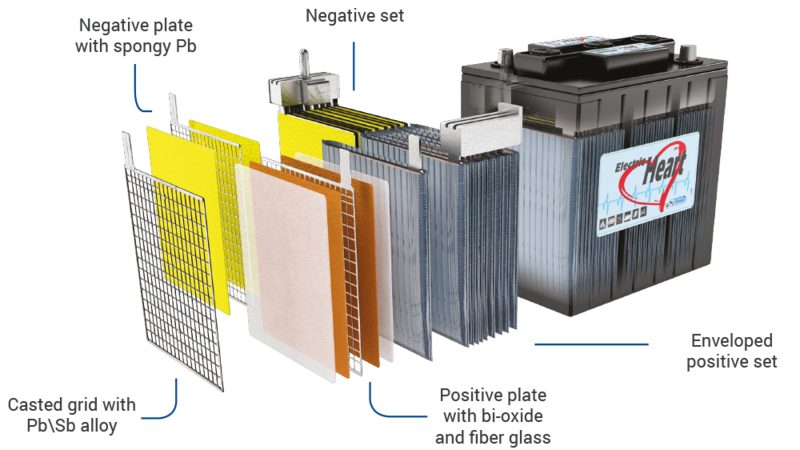 Vipiemme’s know-how in solar energy is based on its experience in the production of complete solar power systems, which have allowed us to develop storage batteries capable of supporting frequent charge and discharge cycles, along with a resistance to extreme temperature, typical of the sector. HEART batteries are designed for stationary use and light traction. The technology of cast grids with low antimony content, reducing the need for routine maintenance operations. The separator used consists of fibreglass and polyethylene material to ensure high mechanical performance. 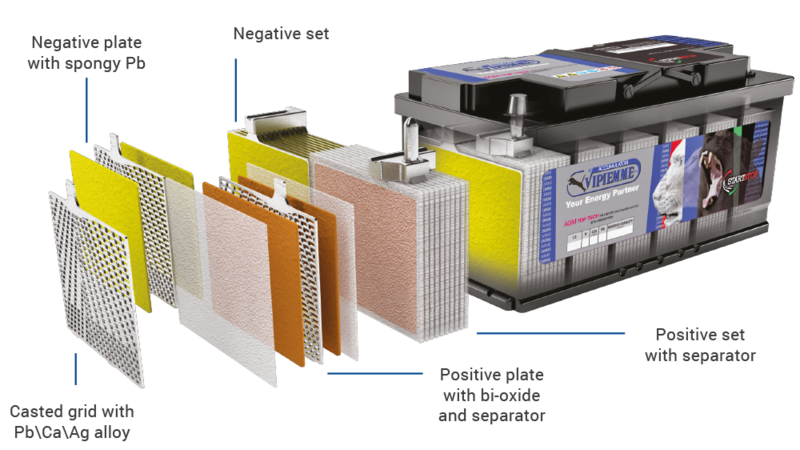 In addition, increased grid thickness and special lead oxide mixture enhance the performance of the batteries in slow and deep discharges. They are therefore suitable for applications such as motor homes, autonomous solar panel systems, on-board services, floor cleaners, small elevators, etc. In respect of the charge and discharge values ​​(specified at around 75-80% of capacity), the battery assumes a very high degree of reliability – so that the electrical performance in terms of the number of cycles can exceed 400.